Lincoln Chris is the reverse mortgage specialist with the San Francisco Division of Primary Residential Mortgage. Lincoln has been in the mortgage industry for many years and has a solid financial planning background. He was first trained as a CPA, and he is both a licensed mortgage officer and a former real estate broker. 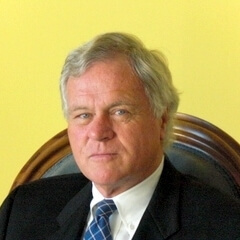 He works closely with industry experts to stay current on all aspects of the reverse mortgage marketplace. He also prides himself on visiting his clients in person, when possible, to make sure that they have a complete understanding of this very secure mortgage product. Lincoln has lived in the San Francisco Bay area for over 40 years and is a proud graduate of Golden State University. He is an avid gardener, and he enjoys spending his free time with his family. To learn more about reverse mortgages, visit: http://primaryresidentialsf.com/reverse-mortgages/.